As photographers, we’re often on the bleeding edge of technology, and these days, the bleeding edge often includes an app for that. However, manufacturers are increasingly relying on apps to control their hardware at the expense of dedicated physical controls — and it’s a practice that must stop. I’ve found myself purchasing products that I love using, but that I end up leaving because of the fear that in a year or two, I’ll be left with an expensive brick after an app is discontinued. Case in point is the Nikon KeyMission 360, a camera that I’ve lauded for being one of the first affordable 4K 360-degree cameras that stitches footage for you. I wonder about its long-term viability. There’s no screen on it to change settings and there is all of two buttons on the camera, one for photo and one for video. If Nikon decided to stop supporting the app one day (and given the financial issues as of late, a not entirely unrealistic possibility), I’d be locked into whatever the last settings I had on the camera were without any hope of changing it. With 360-video cameras, this isn’t an uncommon practice. Nikon’s not alone. 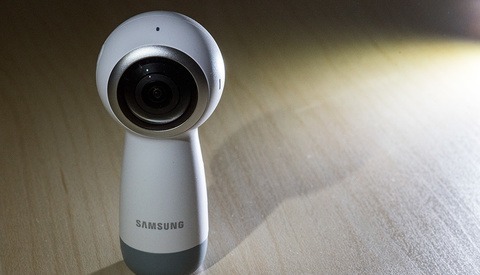 Samsung’s Gear 360 line of cameras relies on convoluted software or an app to stitch the footage for both of its models. There’s not much you can do without it, though there is some degree of controls to change settings right on the camera. I spoke with my dollars. The Garmin Virb 360 has been my latest choice because it combines the best of both worlds: it stitches in-camera and has a screen to control settings. And buttons, so many buttons. There’s even a nifty slider that locks in place to start video recording, something I wish I could see in more video cameras. 360-video cameras aren’t the only ones scaling back on screens and buttons. I bought a Syrp Genie Mini that, while great for time-lapses, left me a little uneasy about whether I’d be able to use it in the future if the company or the app ever went away. I’d also constantly run out of batteries on my phone for long time-lapses. It was enough for me to upgrade to the full Genie. There has to be a way to put a small screen on the mini version somewhere, if just to offer a piece of mind and the ability to give my phone a break. Triggertrap is another example. The whole company went belly up, but at least they open-sourced the software to keep the hardware going, but for how long? Sometimes, key features of a camera go away when an app dies. 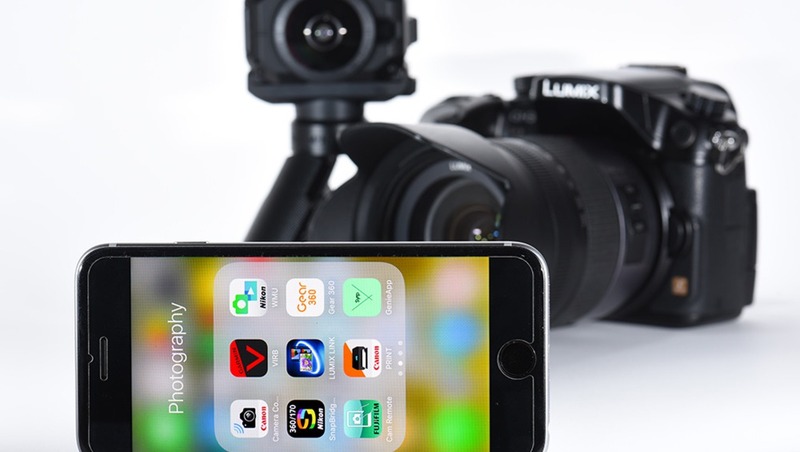 Panasonic’s Lumix Link app is a prime example. It’s an app that provides wireless functionality to many of Panasonic’s cameras. If someone bought Panasonic’s flagship camera four years ago, the GH3, they’d find themselves limping along with a buggy app that hasn’t been updated since 2013 on their iPhone. And with the next iOS update, it’s practically guaranteed to stop working entirely. I’ve used this app to remotely film myself for instructional videos as well as transfer photos to my phone for social media posts live during breaking news coverage. Once this feature goes away, so will the number of times I pull the Panasonic out for either of these purposes. A Nikon F6 purchased in 2004 has the same features today as it did brand new, and that’s the way it should be. If anything, features should be added over time (a la Fuji via firmware updates) but never should a consumer lose something because the company didn’t feel like keeping a software developer employed. There’s another, more practical reason I don’t want to control everything from my phone. I already have a hard enough time keeping my iPhone 6s charged through a normal day. When you add the strain of running a camera through an app my phone’s done. To shoot enough footage for this relatively short 360-degree video of Montauk Point Lighthouse, I needed to bring two extra battery packs with me to get through the day, one for the KeyMission 360 and the other for my phone. Until phone batteries get remarkably better, it’s poor form to make a user run everything from an app. If you make stuff for photographers, think about how they’re going to use your product. There’s no reason to force the use of complicated pairing processes and convoluted software when dedicated buttons have screens worked well and fast for years. Quick set up and tear down is always better than messing with a fiddly app. My experience moving from the Nikon KeyMission 360, with its distinct lack of direct controls, to the Garmin Virb 360, that has nothing but controls – and an app, has been the lightbulb moment where I realized how much I really appreciated a well thought out physical interface over an app. Maybe a focus group somewhere once persuaded a clueless manager that an all-app interface was the way to go. Maybe it’s just companies jumping on the shiny app bandwagon. But let’s call this trend what it is: lazy design. Yes, I tried the Panasonic App on the GH5 and this is pure garbage. Slow, disconnect all the time, not user friendly, etc. The Canon App on the 6D is good and stable but the pairing process is also a pain. Interesting, I never had problems pairing the 6D's app... But then again, I can't get it to focus well with my 85 either, so... "That's it, we're going off the grid!" I think a lot of the restrictions are based on how iOS has a lot of restrictions on how devices can wireless connect to an iPhone - hence why you can't just use NFC and tap to initiate a connection like an Android phone (though arguably that doesn't work well on most cameras either). I'm stuck on Panasonic's older Lumix Link app because I have a GH3 and it's terribly buggy and only connects some of the time. Canon's and Nikon's are OK, but each seem to have random bugs no matter what camera I use. I feel like this extends to desktop apps as well - Samsung's software is an absolute nightmare to navigate just to stitch video, and Canon's Digital Photo Professional is cumbersome and complicated. For the few people that use it, it gets way better quality out of a Canon RAW file than other converters (because it's from the company that made the RAW file for it in the first place) but it's often not worth the hassle of dealing with the headache of using it just for the (most of the time) small bump in quality. All of these companies make awesome hardware, but it feels like the software isn't keeping up. I'd love to be able to make use of a smart phone, with all the apps that are out there to assist photographers. The fly in the ointment is battery life. As a photographer, I carry spare batteries and make sure I always have more than enough, charged in advance of any shoot. There's no way of dealing with that, with smart phones. Most of them don't hold a charge properly for 24 hours, if you use them the way most people do - which is totally unacceptable and reflects extremely badly on the various companies that expect us all to stump up with a considerable bundle of dollars to buy them, and to replace them as and whenever they bring out a "new" and "better" model. The sad truth is, the product is not dependable. The solution is easy, and it's in the hands of the companies that make the phones. Then, maybe, they can be used for photography - as in apps, controlling cams, and all sorts of other things. Right now, they're not ready for us. So it comes as no surprise to find the apps industry is traveling the same path - flaky and not dependable - hmm - very strange approach to marketing!!!!! Yes! The Nikon WMU app could absolutely use an update! It freezes up a fair bit and has the nasty habit of running in the background even after 'closing' it. Fully agree, becoming dependent on a device that usually already struggles with its power supply is a bad idea. And most of the wireless apps are not only sucking your phone's battery dry in a heartbeat once started, the camera's battery also takes a much bigger hit with WiFi enabled and running. 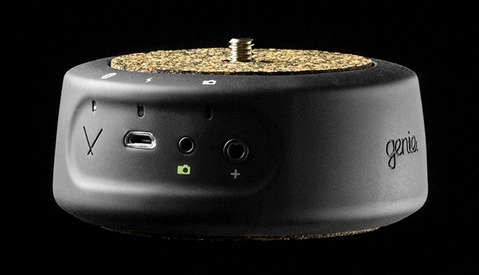 Great if you have an already power hungry mirrorless camera; just watch your battery indicators go down simultaneously. Or have your phone crap out with a remaining charge of 30+ % because the bloody thing just got too cold on a winter day. Of course you can alleviate these things by packing a bunch of USB power banks and camera spare batteries but I've actually gone the other way. Stopped using the WiFi functions on the respective cameras and went back to cable remote releases and direct camera controls - quicker and more reliable. Outdoors it's just to inconvenient to bother with both a phone app and the camera plus their excessive power consumption during WiFi operation. In a studio YMMV, especially when using a bigger device like a tablet. First, I haven't had to use an iPhone app for basic functionality on a camera. I definitely agree that it is shortsighted and consumer-hostile to provide a phone app *instead of* on-device screen and controls. That said, I'm fairly happy with the tethering and reviewing capabilities in the Canon app used with my 80D. Yeah, having the phone on uses more battery, but I have a battery pack from Anker which isn't much larger than my phone and which will give it at least four complete charges before itself needing to be recharged. That said, I haven't had to use it yet with my iPhone 7. For the software itself, it has lots of "goofy" areas. Hooking up to the camera in the first place is a silly song and dance that the app doesn't provide guidance through. Copying photos to the phone prompts me to view them with another app, but that prompt really means to detach from the camera altogether, not open the photo in the Photos app. In other words, it is a typical hardware-manufacturer's iOS app. Very rough, unintuitive, and not at all a part of the larger ecosystem a phone user expects. I would actually strongly prefer that manufacturers who want to provide an app for their device, and *especially* those who *require* an app for critical device functionality, would instead take a page from the web development world. Instead of creating an app, create an API - a well-documented set of instructions which can be passed to your device, preferably over an established standard like Bluetooth. You can still provide an app, but treat that app as your demo app. This way other developers can build on your platform (ask Apple, Google, and Microsoft how profitable owning a platform is). And if you decide you no longer want to have a software developer supporting your 10-year-old device, a third party can step in and support it for you. A semi-working example of this is in health monitors. Scosche Rythm+ heart rate monitors have a proprietary API instead of an open one, which is goofy, but still there are several third-party apps which provide a great interface to the device. Much better than the one-star-rated, short-lived Scosche-provided "MyTrek" app. Other newer devices are more standards-oriented in their communications, and so have a wider variety of control apps to choose from. Hell, I'd also point to ODB-II car connection devices. I bought a cheap ODB-II "plug" for my car a year or so ago, and have dozens of apps to choose from to work with that device to get the most out of my car. Here, there is a simple bluetooth connection and the proprietary API got opened up so that the devices are generally interchangeable and the apps are as well. In summary: Canon, Nikon, et al should define a Camera Control Bluetooth extension (for instance), loaded with all sorts of manufacturer-specific stuff, but where the basics are common and the extensions are documented. Let someone else write the apps, someone who knows how to write apps, who has an app-writing and app-selling business, and who competes with other app writers for the most innovative and useful interfaces.